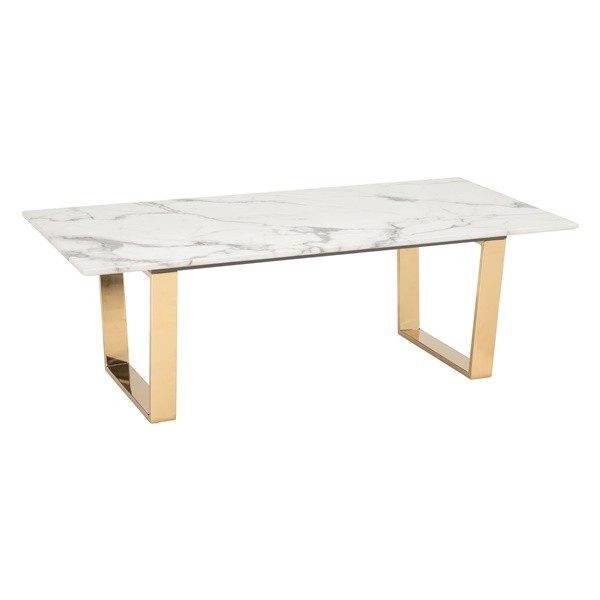 The Atlas Coffee Table by Zuo is every interior designers dream piece. Its contemporary design is ideal in front of your modern sofa. U-shaped legs are made of ultra sturdy stainless steel that features a brushed finish while its faux marble top adds instant beauty. Pair it with the Atlas End Table and give your living space a contemporary upgrade.